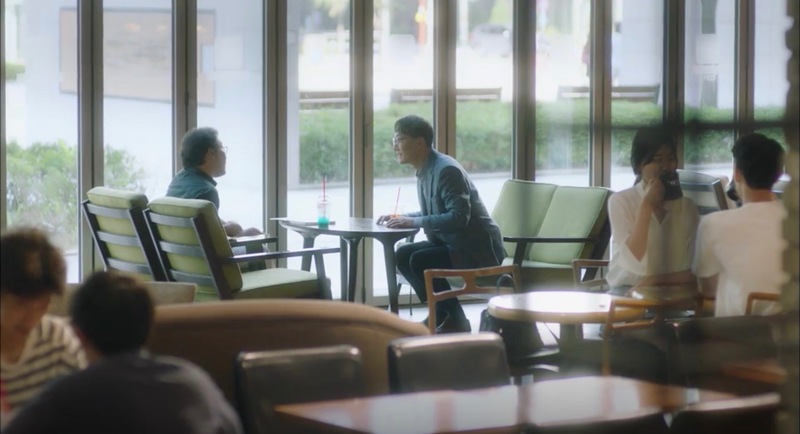 Jung Hee-joo (Park Shin-hye) meets up with Park Sun-ho (Lee Seung-joon) here in episode 16 of Memories of the Alhambra (알함브라 궁전의 추억) (tvN, 2018-19) and he tells her that he will retire and that she should give up hoping to find Yoo Jin-woo (Hyun-Bin). 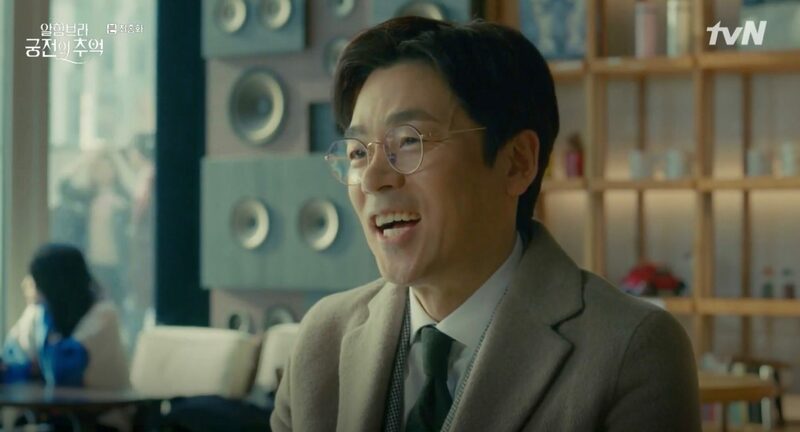 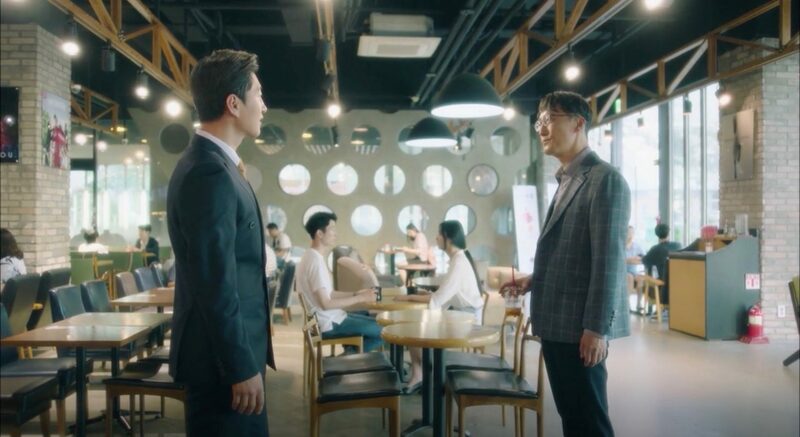 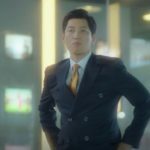 Jang Wook-jin (Jung Jae-sung) meets up here with an old colleague — in charge of variety shows like the ‘Classmate TV Show’ — to ask about putting Joo Gi-bbeum (Song Ha-yoon) on the variety show ‘Star Survivor’ in episode 6 of Devilish Joy (마성의 기쁨) (MBN/Dramax, 2018). 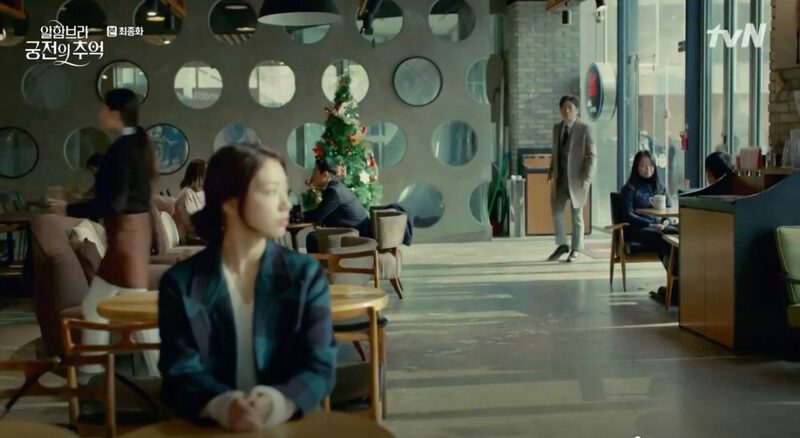 When he leaves, he runs into Kim Beom-soo (Jung Soo-kyo), who also has a meeting with that said colleague. 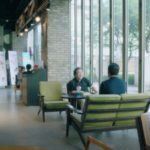 This branch of Dalkomm Coffee [달콤커피 상암팬엔터점] is located on the ground floor of the Deopaen/The Fan Building [더팬빌딩], right at the Gaon Culture Park [가온문화공원] in Seoul’s neighborhood of Sangam-dong [상암동] in the Mapo District [Mapo-gu/마포구].